I found this cool sign on http://bror.se/typography/50-inspirational-”live”-typography-examples-from-new-york. This urban sign is found in New York City. 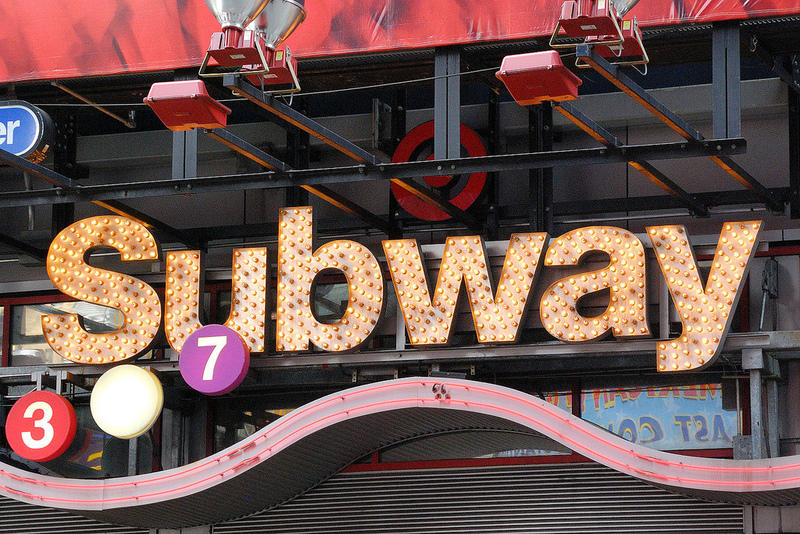 This is another example of a sans serif typeface used as a sign. It is very easy to read and can be read from far distances. I like how the sign is covered in lights, which must be pretty and easy to see at night. I found this beautiful Chinese typography poster on http://www.smashingmagazine.com. Chinese writing is a true art form. I really appreciate the beautiful calligraphy work. 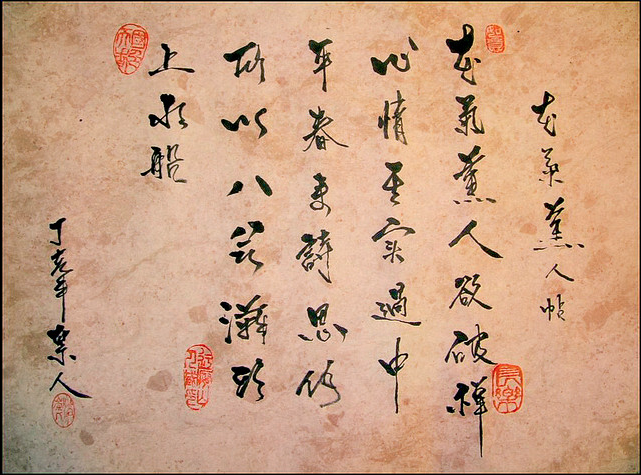 The strokes that create the Chinese characters are very elegant. This Chinese typography is completely different from our American/Western typography. I found this bank direct deposit form online on the Bank of America website. It uses sans serif fonts, which are very simple and are very easy to read. These sans serif fonts are very clean and as a result they look very professional representing Bank of America. I found this humorous typographical error type sample on a website, http://www.writingit.co.uk/ooh-embarrassing-typos/. This sign is composed of large sans serif letter forms that are easily read from a far distance, which makes this a strong sign. 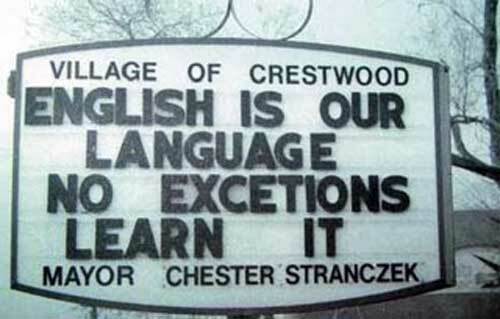 However, this sign has a bad type misspelling the word “exceptions.” Consequently, it loses seriousness and credibility. 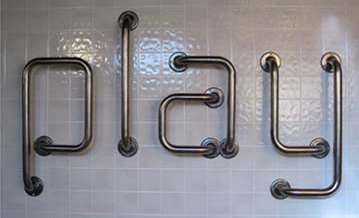 I found this interesting industrial typography online at http://www.oberholtzer-creative.com/visualculture/2008/08/bathroom-typography/. I really like how the metal forms create the same serif letters of the word play. The location is interesting as well in the bathroom. 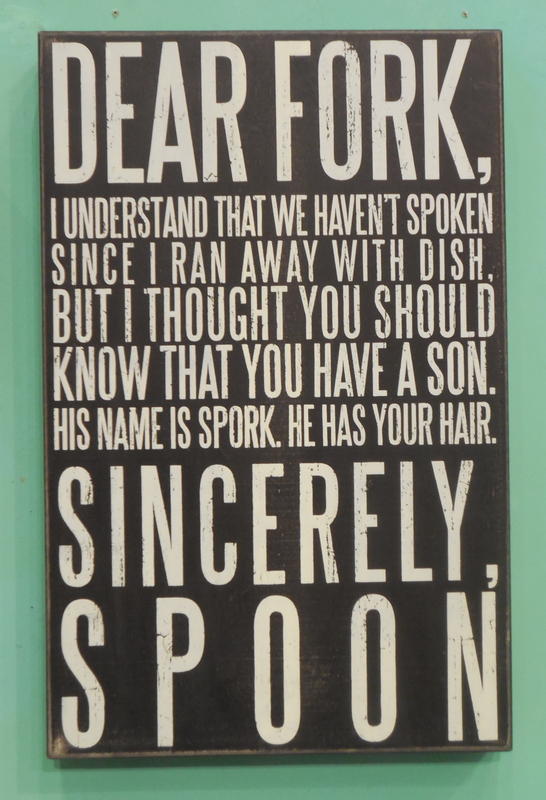 I found this typography sample at National Harbor, MD at a store called Art Craft. The Typography used in this artwork has a slight grungy quality to it; the typography doesn’t have a smooth appearance. I appreciate the sense of humor that the words express as well. I found this pop art painting in Art Whino art gallery at National Harbor. The medium used is acrylic and newsprint on wood. The title of this artwork is Andy Warhol II and is by Ruben Ubiera. This colorful painting caught my eye. It’s a good modern representation of a food can. The letter forms are painted well and are very clean. 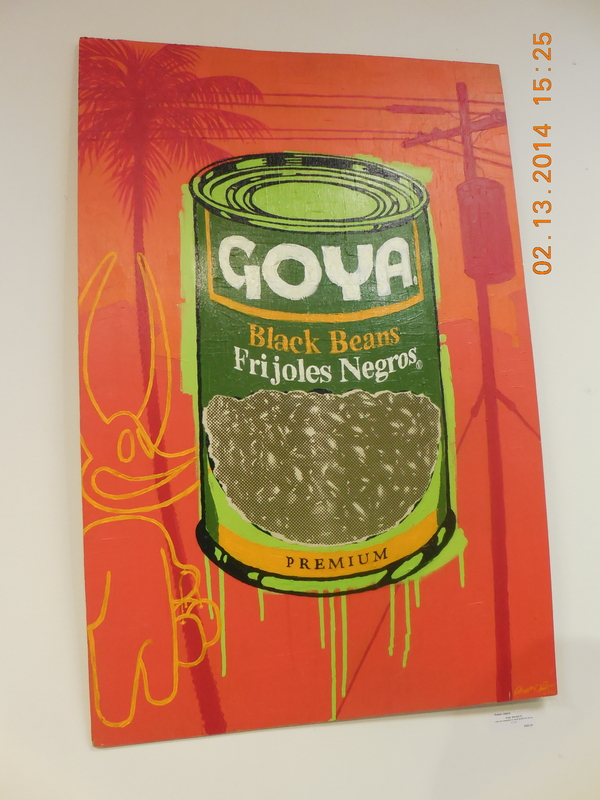 The letter forms resemble the lettering on a real Goya black beans food can. The painted lettering is a combination of serif and sans serif type faces.